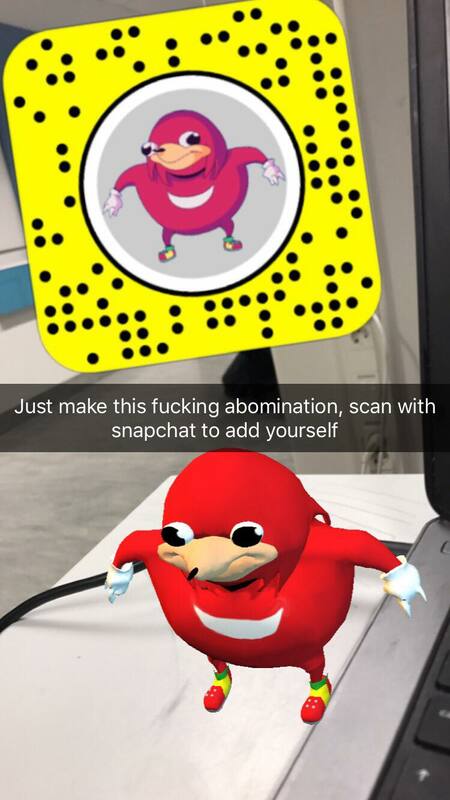 Find out how to get and use Ugandan Knuckles Snapchat filter. Ugandan Knuckles is an internet meme that resembles the SEGA’s character, Sonic the hadgehog. 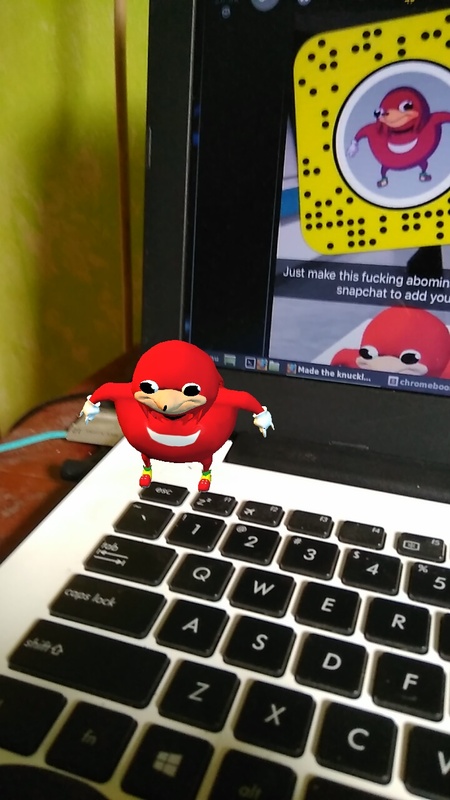 Now Ugandan Knuckles available as Snapchat filter. Thanks to Snapchat Lens Studio, now everyone can make their own custom Snapchat filter or lens. A Reddit user ( vladislov_)uses this free platform from Snap to create Ugandan Knuckles Snapchat filter. Here’s how to get it. Update your Snapchat app to the latest version to get all the updates. Go to Google Play Store or Apple App Store to update your Snapchat app. Launch your Snapchat app, and change to the rear camera. Scan the Snapcode below and take a picture of it using your Snapchat camera. You will get a notification or pop up message that asking you whether you want to unlock the code or send it to your friends. You can see the username of the filter’s creator. You can add him as your friend on Snapchat to get more interesting filter in the future. After choosing ‘Unlock for 24 hours’, a new filter or lens will appear first in your Snapchat’s filter drawer. 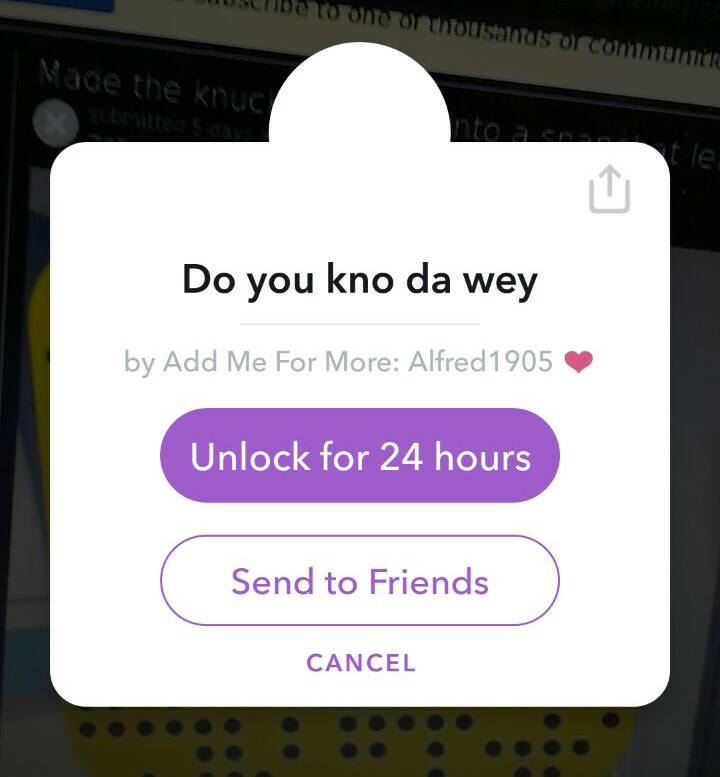 Now you can use Ugandan Knuckles Snapchat lens for the next 24 hours. Beside “Unlock for 24 hours”, you can also send the filter to your friends. So, spread it out to all your friends and let them use this awesome Ugandan Knuckles Snapchat filter as well.